Our research continues on this plaque and other important objects that remain in the Estate of Mert Simpson. 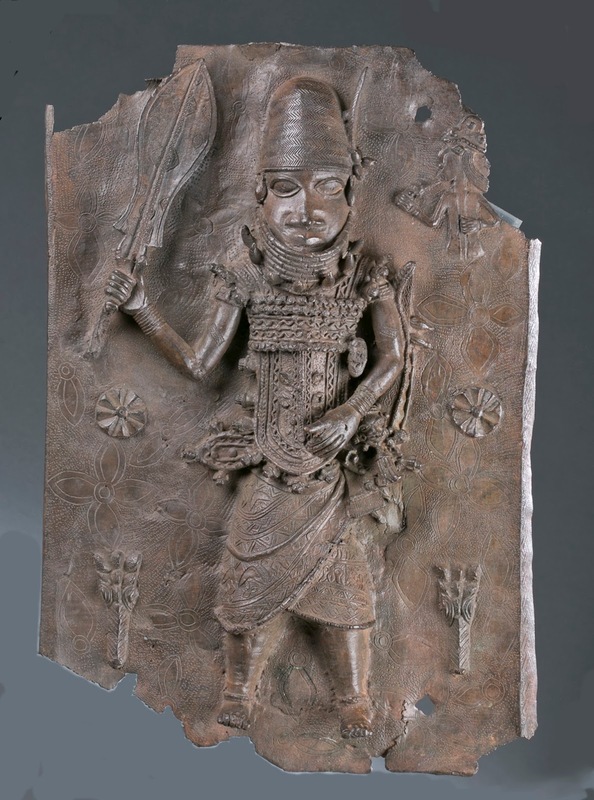 We have confirmed that the restoration is consistent with early repairs that may or may not be completed with fragments of the original plaque. We are excited that this plaque does indeed date to the Benin Punitive Expedition of 1897 and that it was according to the 1899 publication at one time in the British Museum with the accession number 2415-15/1. 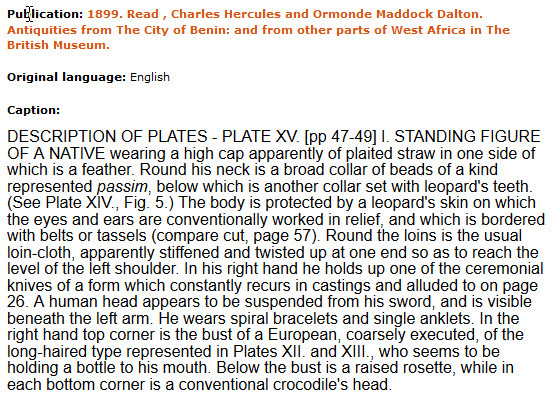 This extraordinary document, a scholarly and sumptuous volume, was first published in 1899 when the British were displaying the fruits of their punitive expedition. There is an excellent historical introduction and chapters on Ivory, European Influence, Dress, Ornaments, and Weapons. 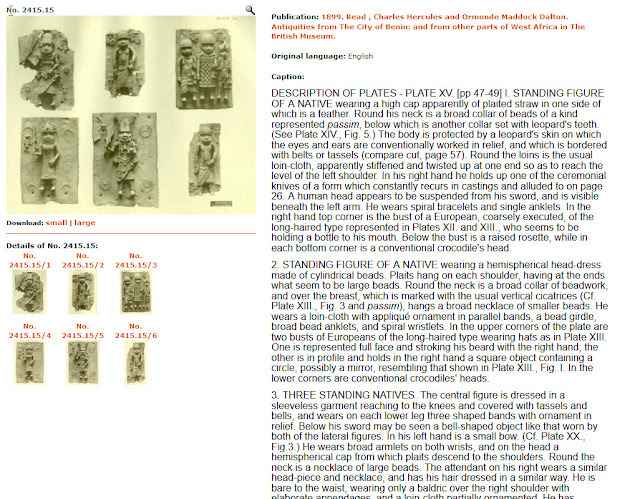 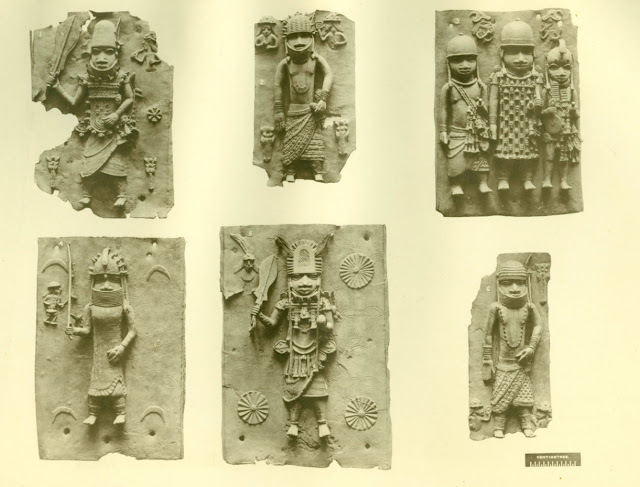 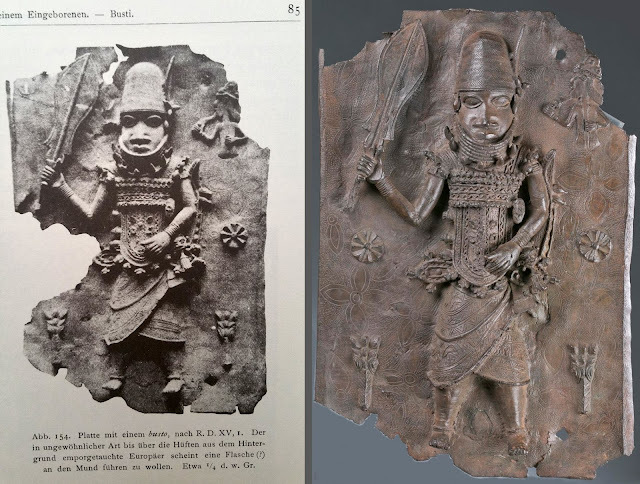 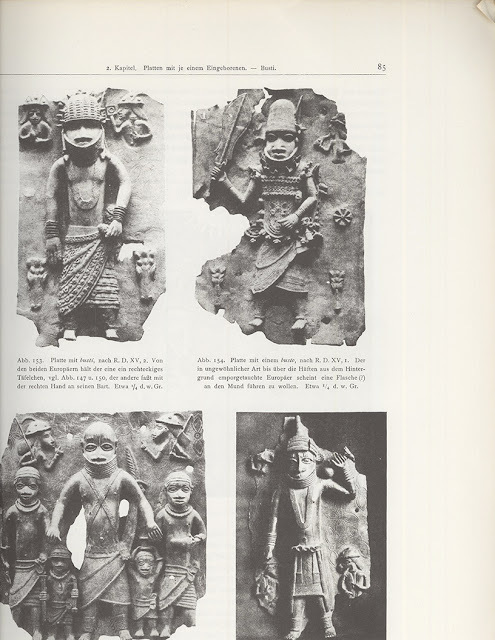 The emphasis, of course, is on the wonderful photographs and descriptions of each illustrated object, including the famous bronze plaques that are now in the Ethnographical Collections at the British Museum. 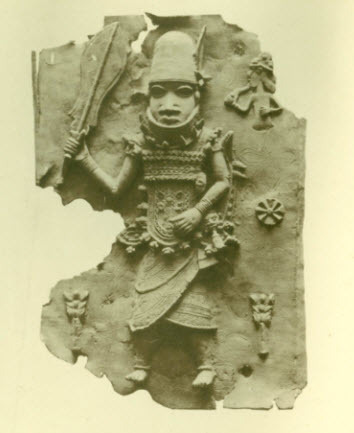 A classic work, more than a century old, this wondrous volume remains one of the cornerstone works on Benin and African art.